I love butter tarts. They're one of the many things that make me proud to be Canadian :). You could argue that there are similar tarts to be found elsewhere but in my opinion butter tarts have their own unique flavour and texture. If you're new to the wonderful world of butter tarts think of a pecan tart with raisins instead of pecans, and with a creamier, less sweet, and slightly runnier filling. I have loved them since I was a kid and could easily eat two or three without thinking about it. And this is never more true than with my aunt's butter tarts. They're the most perfect version of this incredibly wonderful dessert (or snack; or meal). My aunt's butter tarts, as I have mentioned previously, are a thing of legend. That legend originating (like the crust) with her mother. They're simply the best butter tarts I have ever had, and I'm a person that has had many butter tarts. The reason, probably, is that proportionately they have more butter and are a little less sweet than other recipes. Paired with the light and flakey crust, it truly doesn't get any better. On occasion, my aunt will bake mini ones, which become even more deadly. For some reason, you can eat two or three times the equivalent regular butter tarts when they're tiny. The filling is simple and it comes together in no time. Really the only part about making a butter tart that takes any effort is cutting out the dough for the crusts (which I found out, thanks to my aunt, is also simple to make :)). Alright that's a lie. The most strenuous and difficult part about baking butter tarts is the waiting. They are an exercise in patience. Waiting for them to come out of the oven; waiting for them to cool and set; and then waiting until a sufficient amount of time has passed that you think it's okay to eat another one (two a day isn't bad right? :)). A word of warning from my aunt regarding this recipe. If you would like to double it do it in two separate bowls, essentially making it twice. My aunt has found that whenever she doubles the recipe in a single bowl the butter tarts do not set properly and, in fact, may not set properly for a few days. She (and I) are not sure why this is, but that makes it no less true. I've had a bunch of recipes that don't turn out quite the same when I double them, and I would rather err on the side of caution with these beauties than risk anything going wrong :). So if you have never had a homemade butter tart, or if you simply do not know what they are, trust me when I say that these are likely the best ones you are ever going to have. Nothing in my opinion comes close to my aunt's recipe. They have pretty much ruined me for any other butter tarts. This recipe symbolizes the way that butter tarts were meant to be made; no worrying about how much butter and sugar are going into the bowl. This is old school. If you're cutting back on calories turn around and run; and keep running until you can justify eating one :)... or two :). Yields approx one dozen butter tarts. Preheat oven to 375F and have ready a standard 12 cup muffin tin. Add raisins to hot water and allow to soak for at least 30 minutes or until plump. Strain raisins once ready. In a large bowl add sugar, corn syrup, butter, eggs, vanilla, salt and lemon juice and stir until completely combined and mixture is smooth. Add raisins to filling and stir until evenly distributed. 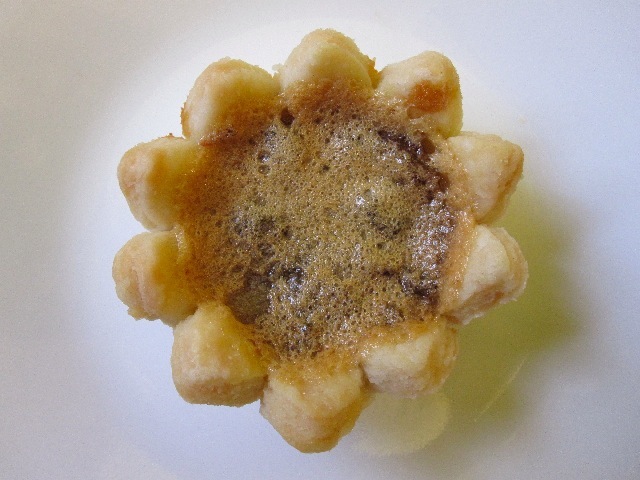 Cut pastry dough in to 12 equal rounds and place in muffin tin. Bake for 20 to 25 minutes or until filling just begins to bubble. Remove from oven and allow to sit in pan until completely cooled. My mouth is truly watering after reading this post! I love love love pecan pie and raisins so I know I'll love these. Can they be stored (yes, I know, like there will be any leftovers to store) on the counter or should they go into the refrigerator? Counter is fine, they also freeze well apparently, though I've never gotten to that point :). I've never had a butter tart but these sound and look delicious! I like the idea of eating them for a meal :) Have you tried making them in mini muffin pans? I haven't myself (this was my first time making them at all) but my aunt does all the time :). However, her suggestion when making small butter tarts would be to use currants instead of raisins ;).